Our pets are valuable members of our family. We love them, care for them, and spoil them as if they are our children. We, in return, are given the joys of wagging tails, kisses, and endless amounts of unconditional love. As with other family members, our pets are deeply affected by life events and the challenges they create. The loss of a loved one, an illness, a severe storm that damages a home, and the loss of a job all impact families, including the pets. These difficult life situations may cause us to re-evaluate how we live. We have to examine our buying habits and reallocate our funds to pay for unexpected doctor expenses, home repairs, and food. Cuts have to be made to survive. In dire situations, families have to give up their pets because they cannot afford them. Moms and Dads have to look their children in the eye and tell them that they cannot afford to feed their pet any longer. Pets are family members that are lost in these situations. Could you imagine having to give up your son or daughter because you could no longer afford to provide them nourishment? To many, giving up a pet is the same. As a family who absolutely loves animals and have owned pets for many years the thoughts of these acts are sickening. We currently have three dogs who are cherished members of our family. We never want to be separated from them and we do not want others to have to experience that pain. This week we learned about an amazing organization who is working to keep all pets at home with their families. The Fort Wayne Pet Food Pantry provides pet food at no cost to pet owners who are struggling financially and cannot afford to feed their pets. Food distributions are held every two weeks for those who need the service. This assistance is given in an effort to reduce the number of dogs returned to shelters which cause overcrowding and ultimately euthanasia. This food also helps relieve the personal stresses that individuals and families battle when they cannot provide for their furry family member. 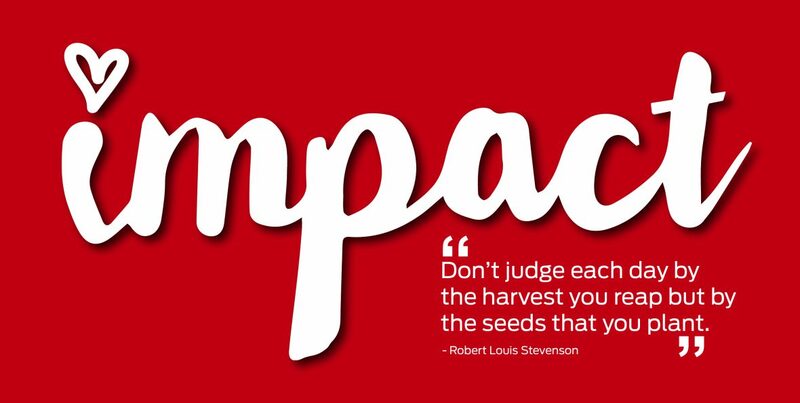 All of the food that is distributed to the community is secured through in-kind donations. 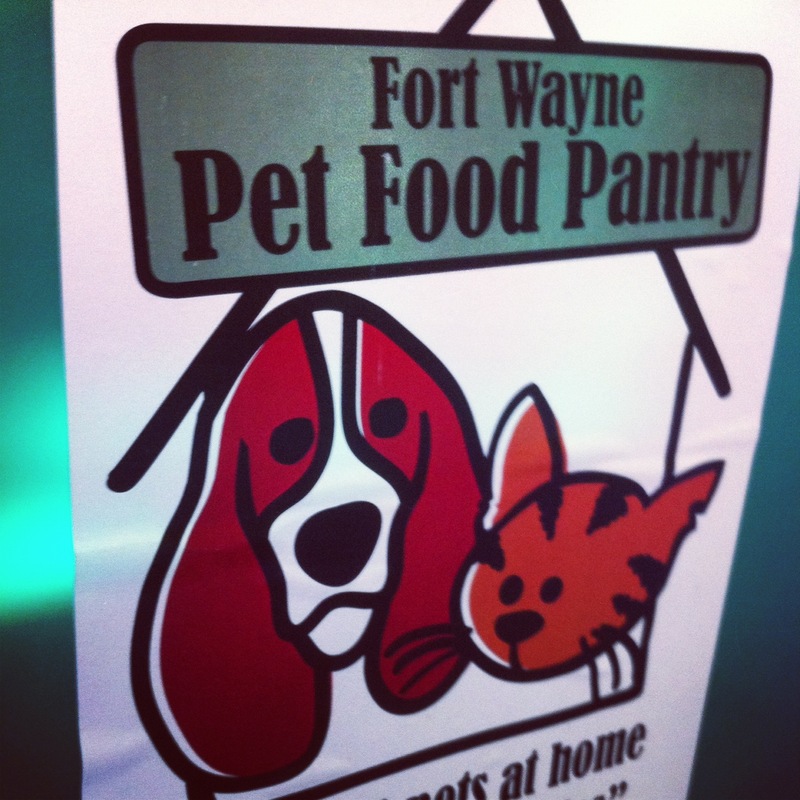 The Fort Wayne Pet Food Pantry has provided over 28,000 pounds of food to approximately 14,000 pets since June of 2010. We volunteered during the Saturday food distribution. This particular Saturday was different from most Saturdays. On Friday, severe weather ripped through the Fort Wayne community causing widespread damage and power outages. Our drive to the facility was an adventure as we swerved to miss debris in the road and found trees blocking the streets we needed to travel. Upon arrival, there were people sitting and waiting for the distribution to begin. It was reminiscent of our experience with Community Harvest Food Bank, just on a smaller scale. We spent most of our time breaking down large bags of food into smaller quantities for distribution. Each person gets a predetermined amount based on the number of animals in the household. We gave each other a hard time as we spilled and dumped food all over the floor why scooping and bagging. The girls spent some time handing out pet treats to constituents as they passed through the line. We heard conversations and comments about how much this assistance is appreciated. It was obvious that the Fort Wayne Pet Food Pantry is making a huge difference in our community. 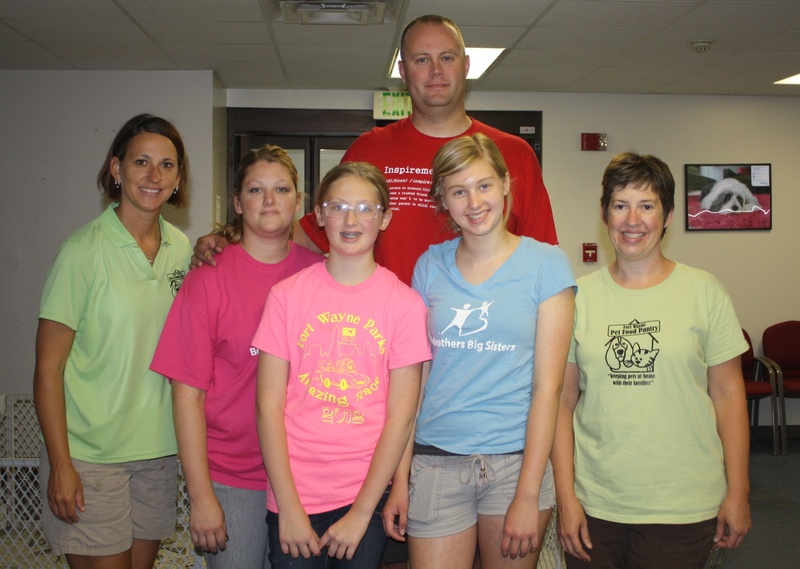 We absolutely loved our time with the Fort Wayne Pet Food Pantry. The staff and volunteers were very welcoming and valued us as volunteers. They engaged us in the mission and inspired us to want to do more. The goal is to keep pets at home with their families. 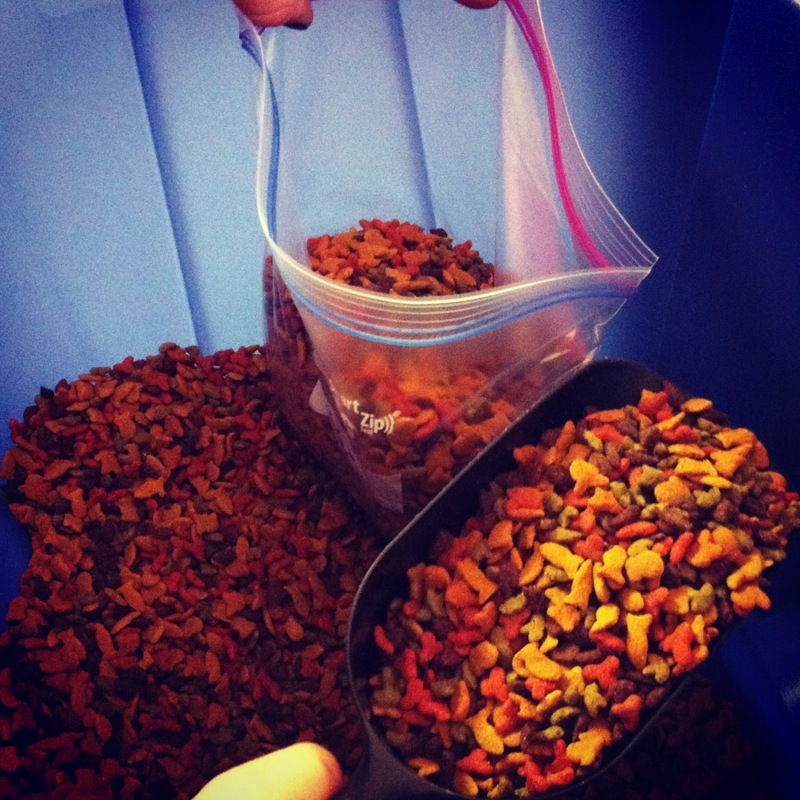 The Fort Wayne Pet Food Pantry is doing just that. Take a few minutes and visit www.fwpetfoodpantry.com to learn more about this great organization and see some great photos of some of the pets they have helped. Times are tough for many Americans. Each week I am inspired by the work that is done in our communities to serve those who have a need. This week was no different. Our community is blessed to have an organization that cares for individuals, families, and animals like the Pet Food Pantry. We all love our pets. If you have the means, do your part to make sure they all stay home where they belong.